Dive tourism almost ruined Sipadan. 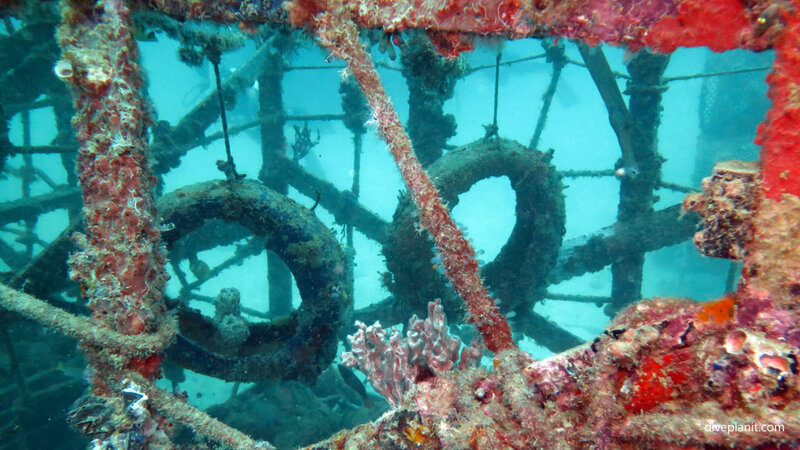 It used to have a dive resort as well as hordes of divers from surrounding resorts visiting it daily. But it all got too much and in 2004 a decision was made to close the resort and to limit the number of divers to just 120 per day. What makes a world class dive site like Sipadan? Of course it’s Location! Location! Location! – but nowadays protection is a big factor too. Sipadan is an oceanic island located off Malaysia’s Sabah’s continental shelf in the Celebes Sea, the top of an extinct volcano rising 600m from the seafloor, fringed with a natural hard coral reef. 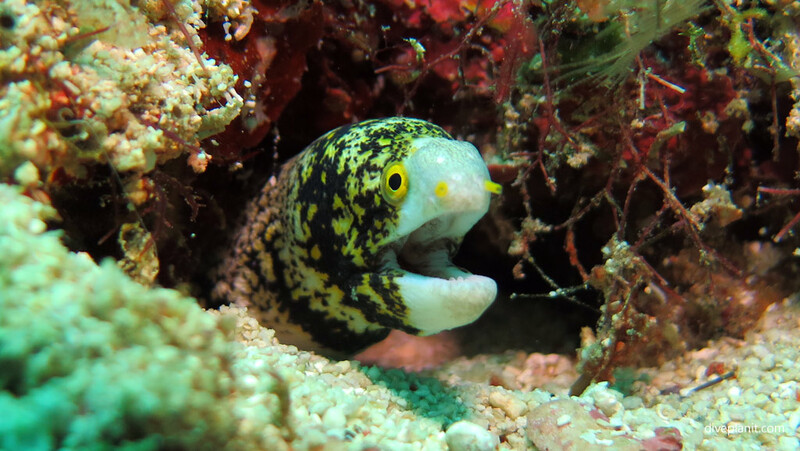 The reef provides the lower links of a food chain which runs up through reef fish of all sizes to large pelagics that come cruising by from deeper waters in this ancient ocean basin. It also lies almost at the centre of the Coral Triangle known for its massive marine biodiversity. Just a few hundred metres across, it is also an ancient turtle nesting ground supporting between two and three hundred nesting turtles at any given time. Diving Sipadan you will almost certainly encounter turtles resting, grazing and swimming, as well as a host of golden batfish, a tornado of barracuda, a valley of White Tipped Reef Sharks, and a herd of bump head parrotfish, very much akin to a herd of bison, which seem to be forever roaming round and round the island. Add to this the coral reefs and a plethora of larger reef fish like unicorns, surgeons and six bar angels and you’ll know why even four dives a day is simply not enough! So its location does make it one of those very special dive destinations, but what keeps Sipadan special is the Protection! Protection! Protection! it is now afforded by the Malaysian Government. Dive tourism almost ruined Sipadan. It used to have a dive resort as well as hordes of divers from surrounding resorts visiting it daily. But it all got too much and in 2004 a very tough decision was made to close the resort and to limit the number of divers to just 120 per day. With the current permit system, each local dive operator gets enough permits to fill just a small boat each day, and the places are allocated to dive guests on the basis of their stay’s duration. For example you might stay five days at a resort and get two days diving in Sipadan. So what do divers do on the other days? Even without Sipadan, the east coast of Sabah is a great place to dive. 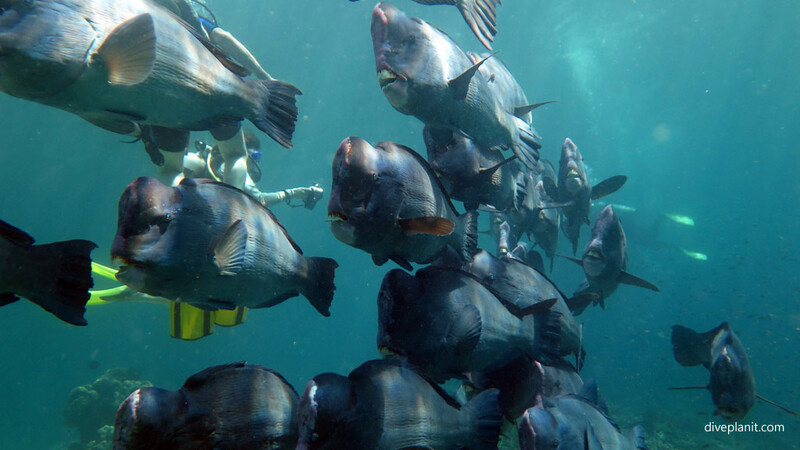 The two islands closest to Sipadan (just 30 minutes by boat), Mabul and Kapalai, sport a number of resorts and also many natural and artificial reefs. The artificial reefs are well worth a visit in themselves: their absurd anthropomorphic designs would be more suited for orangutans – Sabah’s other great drawcard – than fish, but they do attract all manner of marine life. You don’t need to stay on Sipadan’s doorstep – Kapalai or Mabul or a re-purposed oil rig – to dive there, other options to ensure a couple of days diving at Sipadan are the mainland port of Semporna, and some of the luxury resorts in the islands just north of it. Obviously the commute to Sipadan is longer, but the accommodation options are much wider in Semporna, especially at the budget end. So yes, Sipadan is a very special place that will give you a very special dive experience and hopefully one that will stay that way for a long time. The whole area deserves a place high up on everyone’s bucket list, and remember to book well in advance to lock in your dive days on Sipadan, and also to secure your DAN AP insurance. Previous Previous post: What’s it like to encounter a whale shark in the deep blue?